In sympathy with the UK, torrential rain and high winds are the order of the day. We take the minibus into Kuching. The museums are closed but the shops are open. So we swallow our pride (and the rain - and some great sushi), and mooch around the bazaars of Chinatown and Little India, ending up in the James Brooke Bistro, a charming little cafe on the riverfront. 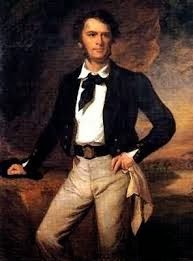 James Brooke was an East India Company trader who, after helping the Sultan of Brunei put down a rebellion in 1840, became Governor (or Rajah) of Sarawak. By most historical accounts his rule was largely benign and efficient, surely influenced by Raffles' earlier governorship in Singapore. After his death in 1868, his nephew Charles ruled until 1917, followed by his son Vyner up until WW2 when the Japanese invaded. Sarawak then became a British colony before becoming part of independent Malaysia in 1963. Kuching still has a number of faded white colonial remnants dotted around: the Court House (1874), Fort Margherita (1879), Sarawak Museum (1891)... But it is - and always was - a multinational town of Chinese, Malay and Indian inhabitants with the architecture, old and new, to match. It seems a happy town: friendly taxi drivers, smiling families, shop sellers who just want to chat rather than hassle you into buying stuff. And for all the wind and rain, it's this that's made our Christmas.